This crockpot black beans recipe is my hands-down favorite method for cooking beans. I make a large batch of crockpot black beans every few months and use them in all sorts of tasty recipes! For those of you that already prep your beans this way, this post is not for you. 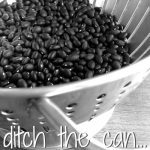 [but this one is] This post is for everyone that is new to beans, strictly uses canned, or is just simply curious about a new way to prep these black beauties for quick and easy meals throughout the week. Are you ready for it? You’re going to laugh at yourself when you realize just how easy this is. At least I did, but I’m always laughing at myself. Your beans will be perfectly cooked in anywhere from 3.5-4 hours. (Though it will take a little longer if you live at a high altitude.) I check mine at the 3.5 hour mark and try one to see if they’re tender enough. If they’re still hard, set your timer for an extra 30 minutes and curl up with a book or catch up on that pile-o-laundry! A 1-pound bag of dried black beans will yield about six cups of cooked black beans. That’s three can’s worth of black beans for a fraction of the price! Still looking for a slow cooker? 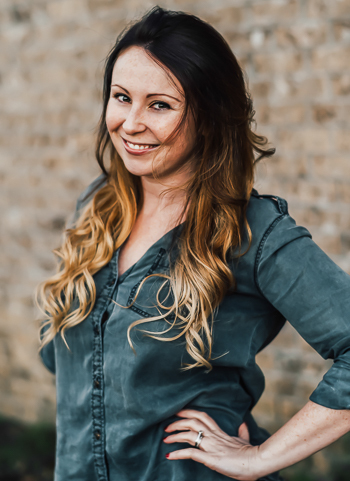 [click here] a few fabulous options! You can also season them while in the crockpot if you’re making one singular recipe, like a pot of black beans and rice for instance. I scoop mine out with a slotted spoon, portion into freezer safe containers and freeze them for the plethora of mexican dishes and savory stuffed sweet potatoes I’m always whipping up. They’ll keep for 4 days in the fridge and for months in the freezer. Kiss the canned beans (and that nasty BPA lining) goodbye! Black Beans freeze absolutely effortlessly and reheat tasting as good as new! To reheat frozen beans, simply plop them in the fridge overnight and attack them the following day, or slowly defrost in the microwave, heating in small intervals so the beans don’t burst. You can also warm them up on the stove-top or take some steamy hot water to the container you’ve sealed them in. So basically… any which way! Take your pick and run with it! A 1-pound bag of dried black beans will yield about six cups of cooked black beans. That's three can's worth of black beans for a fraction of the price! Grab a one-pound bag of black beans. Rinse with water and pluck out any broken ones. Pour into your slow cooker and add 6 cups water and any extras you'd like to add to season the beans. Turn on to HIGH and set a timer for 3.5 hours. Now walk away! Your beans will be perfectly cooked in anywhere from 3.5-4 hours. (Though it will take a little longer if you live at a high altitude.) I check mine at the 3.5 hour mark and try one to see if they're tender enough. If they're still hard, set your timer for an extra 30 minutes and curl up with a book or catch up on that pile-o-laundry! Nutrition facts below are an estimate provided by an online nutrition calculator. 1 serving of black beans is measured at 1/2 cup cooked beans. We also make my Skillet Black Bean Queso Dip quite a bit around here for game night and impromptu gatherings. I’m also a huge fan of tossing black beans in salads and bowl recipes such as my Mexican Kale Salad and Quinoa Taco Bowls. You’ve got to try them! If you get a chance to try this crazy easy crockpot black beans recipe, let me know! Leave some love in the comment form below or tag your photos with @peasandcrayons on Instagram so I can happy dance over your creation. Do you have a preference for the container you freeze them in? Plastic vs glass? I am trying to repurpose glass jars. Not sure if freezing in them is a good choice or not. Hi Eva! We exclusively use glass containers for fridge and freezer storage. I’m quite fond of pyrex’s line of storage but we upcycle as well, especially spaghetti sauce jars and pickle jars as they’re quite sturdy! For freezing glass, the main concern is liquids really. They tend to expand a little when frozen so when you’re freezing anything liquid or anything suspended in liquid or sauce you want to leave enough room at the top for the expansion or it can crack. I give it a few inches to be safe. The other issue with glass that can occur is running cold frozen glass under hot water can make it crack so that is to be avoided too. Both of those are so minor and we have really really great results using glass for our frozen foods! For solids like black beans I don’t have an issue at all so I just fill ’em up! I usually freeze them in 1 cup portions, sometimes 2 cups each – whatever I typically use for a recipe. They can be popped in the fridge 24 hours in advance of needing them to defrost and then stirred into soups, cooked and blended into refried beans and dips, and added to all your favorite dishes! Hey there, can you give recommendations on adjusting your recipe to make enough black beans to serve 20 people? I am making the recipe one night to take into work the next day. How do you recommend reheating? Can I take the entire slowcooker to reheat? Thanks for your help! — From a baby cook. Hi Chanda! I’m so excited you’ll be making these crock-pot black beans! So a few questions first, are they as part of a work potluck? If so and there will be numerous dishes to munch on along with it (especially if it’s a Mexican-themed taco party of sorts – YUM!) you should be fine with the recipe as is! I use this as a base recipe and then use the black beans in a number of different recipes, so if you were serving the beans over rice at a gathering, you would totally want to add some extras to give them some flavor! Tasty additions include cumin, chili powder, extra salt and pepper (to taste) and even smoked paprika or ground cayenne pepper can make lovely additions! You can add the seasoning with the dry beans and then add any extras based on how they taste when they’re all cooked. Sometimes we will also swirl in some of our favorite salsa after cooking the beans. Delish! A 1 lb bag of beans will yield about 6 cups of cooked beans so if everyone is scooping up 1/4 cup of beans there will be 24 servings <-- this should be perfect! Also you can 100% bring the slow cooker to reheat the beans! At prior work functions my coworkers and I would do exactly that. Depending on the temperature of the beans when you bring them will dictate what setting to use. If they were already hot from making them that morning you could just use the warm setting. If they need to be reheated from chilled you would probably want to use the high setting to warm them back up. These look great and will be a good alternative to canned beans in some of my favorite recipes! 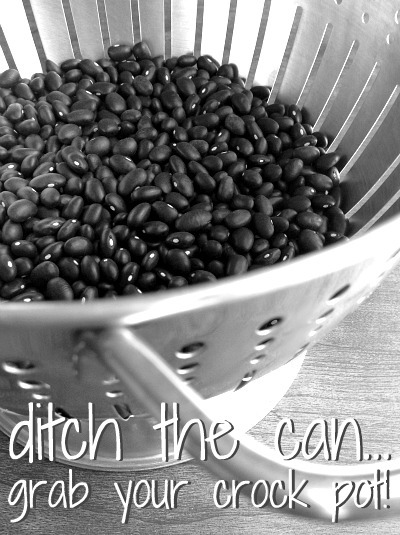 I love doing black beans this way and I agree, I love ditching the can! Thanks for the great recipe Jenn! You’re super welcome! So glad you’re loving it! Hi Jenn, have you done this with more than one bag at once? Trying to do a massive amount at once for freezing 🙂 Any adjustment in time? Obviously more water to cover more beans. Hey Trisha! You know what, I haven’t actually! I know with the pressure cooker the cook time stays the same regardless of the amount of food in the pot, so I wonder if all it would need is the extra H2O you suggested? I’d do it on a day you’re staying around the house or just running light errands so you can always add extra time if needed? I may test it out too because my freezer supply of black beans just hit zero and this mama needs ALLTHEBEANS 🙂 Let me know what you end up doing! Do they still work just the same for substituting in baking or does it change the consistency? Hey Kristen! I haven’t found a use they don’t work for! I freeze some and defrost them in the fridge when I need them and then keep the others in the fridge for up to 4-5 days. I’ve made soups, dips, casseroles, and so much more with the beans I make in my crockpot 🙂 It’s essentially like making your own “canned” beans only you store them in the fridge and/or freezer. Does it matter what size crock pot you use? As long as it’s at least 4/5 quarts you’re good to go. I don’t know the exact size of my original one but the second one we bought [I cook a ton of stuff at once to stock the freezer!] is a 6 quart and It’s perfection! A smaller pot will work if you’re not using the entire bag of beans though! So it really depends on how much you need to make =) Regardless you’ll be saving a ton of money over time by not buying cans. Hope that helps! thanks for sharing such an easy and usable recipe! I have never thought of making my own black beans for my various dishes I use them in. Will definitely be doing this soon! Just found this recipe….thanks for making this so easy! I have been afraid to move away from the convenience factor of cans, but now I know I need to go for it. Any tips on freezing? What type of containers do you use? Thanks so much! So funny, because I was just thinking I need more glass jars for freezing soups and beans — I’m on it! Thanks Brooklyn! Great idea! What do you think about adding chicken stock instead of water? Thanks for posting this. I’ve wanted to try dry beans for a while but it just seemed like they had there were a number of issues in cooking them. Can’t wait to try this. Um, so we bought a bag of black beans and haven’t made them yet. I’m ditching the cans and doing this! Genius! ooh I shall update the post! good question!!! pop them out of the freezer and into the toaster oven or oven at 350-400F for like.. 20 minutes and you’re good to go! Yay!!!!! I’m making a batch of garbanzos tomorrow! You’ll have to share your delish hummus recipe!!!! Did garbanzos last night in crock pot- took 3.5hrs. They are all portioned into 2 cups and in freezer in vacuum zipper bags ready for my hummus recipe! I used to to lg quantities in pressure cooker but this is cooler and easier! I am going to try this with the soaking first method today! I can’t wait! I’m one of those people that just uses the canned kind. So thanks for this. It’s a lot easier than I thought it would be! Same here! I like having the blank canvas of unseasoned beans anyways so it works out! I think I’m going to start soaking the next few batches first — have you tried that to lessen the cook-time? LOVE THIS!! I knew there had to be a way to make black beans from the bag. the bag is like $1 and you get SO MANY servings out of it, and not to mention, a lot LESS sodium. Totally getting a crock pot for my new place September 1st now..thanks lady for showing how easy this is! Thanks Austin!!!! I’m totally checking both of these out! =) Much appreciated! I cook dry beans on the stovetop but always soak them first for better nutrition and digestibility. I used to just cook them without soaking. My health and energy have really improved since I began soaking the grains, nuts and legumes I eat. There are a couple blog posts about why soaking your beans is beneficial. As an added bonus, it takes less than 2 hours to cook black beans after they have been soaked. Why have I not done this yet? Thank you so much! I love black beans with sweet potatoes. I keep telling myself that I need to be making my own beans rather than eating them from the can. It has always seemed so inconvenient, though. This looks super easy….I’m going to do it! This is great! Save money and stay away from BPA?! I’m on board! I have thought of another question. What is the best way to reheat, or cook these after you freeze them? I love the taste of beans you cook at home. I have so many bags right now. Thanks for reminding me to make some! I buy canned beans right now but want to convert over to buying dried in a bag and ‘cooking’ them myself–I love that I could just throw them in the crockpot! so once they are cooked how long do they last in the fridge?! Can you freeze them? I will do anything to avoid any form of canned food. Thanks for sharing! I was mortified when I realized how easy it was. Especially since I eat beans nearly every day… the stacks of cans in my pantry were ridiculous! But no more! hehe =) Dooo it! I love the crockpot, and this is now just another reason why! Thanks for sharing!! Yes!!!! Get one in time for fall/winter! The cheap ones work great too! i knew you could do this but never that it was that simple. i am sold. i love the freezing idea. i wouldn’t want my husband to tackle a whole crock pot of beans at once. I do mine like that all the time then freeze them until I need them. I like to put a poblano pepper in there so the flavor seeps in. YUM! Like!! SO easy and I never thought of using the crockpot. How great for the heat of summer when I don’t want to use the stove. I’ve been thinking about switching to dried beans. Based on how easy it sounds, I’m almost embarrassed I haven’t yet. Thanks for the post. I’m going to get beaning. Thanks! Chickpeas were the ones I was going to try!! Does this work with other beans, too? I do my lentils on the stovetop since they are a little more delicate and take way less time than the black beans do. I heard red kidney beans are a little more temperamental than most and shouldn’t be cooked in the crockpot. So far I’ve only done the black beans in mine. Ooh and chickpeas I’ve heard work too but they take less time – only 2-3 hours I believe. This is how I always make my beans. So easy. That IS easy! I assume this method would work with other bean varieties as well? Ohmygosh really!? I should add this to the post – thank you!!! Any other tips for high-alt beans? That sweet potato looks amazing!